| Whitebox | The publisher PersonalNOVEL offers personalized novels in single editions. Clients can define protagonists, choose from a variety of genres (thriller, adventure or love story, science fiction, children’s book, etc. ), and even design a story from scratch to customize individual presents. Office and publisher, envelope and content, book jacket and story form a symbiosis of architecture and its use. A whole floor, 380 m2, in an office building from the 1960s had to be technically upgraded and the interior designed according to the new program. A combination of an open plan and individual offices was realized that preserved the original character of the building. The new office space is organized in areas for concentrated, quiet work as well as communication-intensive zones (customer service, team assistance, reception). Walls, ceiling and floorsurfaces are smooth, glossy and continuously white and hence create the character of a think-lab. 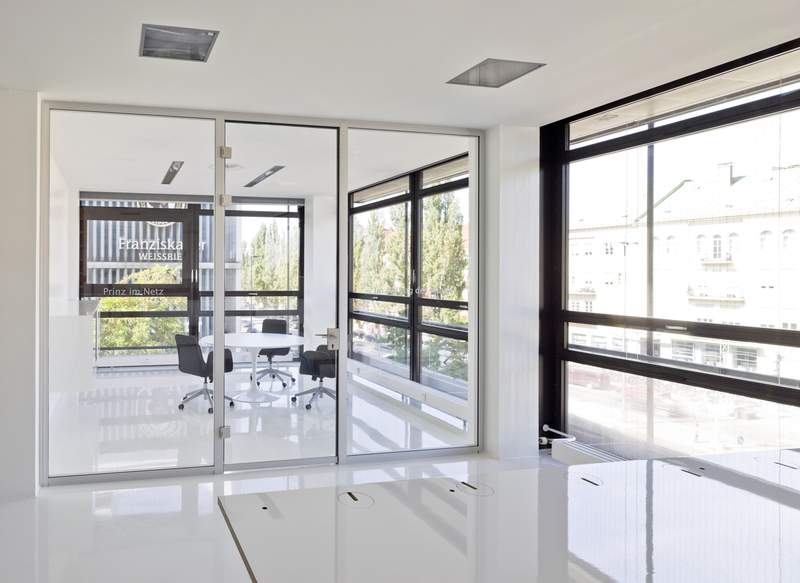 Together with the glass partitions they form a bright office space, which allows natural daylight to illuminate even recessed spaces of the building.